Foveon technology was something I wanted to win vs bayer many years ago. It seemed like a more elegant solution to color photography. Now they are so far behind cameras like the D800 that you could downrez your shots 50% for detail retaining a far bigger image for the print than the dp2m. Its too little too late IMO. So my question is about foveon vs chips with no color filters. Yes, they are made, many small chips are used with telescopes for long astro-photo shots. They have a filter wheel so you could take 7 shots for each image. A pure luminance, R,G,B,C,M,Y as the motor run wheel advances, giving you what must be perfect color capture at every point. When you absolutely, positively, must have the most perfect color why would people choose foveon vs a technical camera with filter wheel and colorless chip? Forget moving subjects, foveon is slow. We are talking landscapes, studio, architecture shots here. Thoughts? There are filterless camera with filter wheels (or more sophisticated stuff for color bandwidth selection) by many manufacturers out there. Normally, they are outside the range of photographers monetarily, and more importantly, perhaps ordinary photographers would not find very many uses of them to justify the cost. They're just getting started with the DP2M. It's far from too late, it's just beginning. Sigma is up to something as they are refreshing many of their lenses it seems. I would love to see a full sized foveon as I believe in the technology. Still if sigma is the only camera Company to market it i don't believe they enough market share for it to take off. Time will tell. The foveon patent is almost expired. Anything they do now would be to advance a new one or get other companies to adopt their product. If other companies like the tech they could soon advance their own update based on their R&D. A quick google of "foveon patent" shows Sony, Canon, Fuji, Panasonic (just page 1) are all advancing a 3 layer sensor of their own. A calculated expiration date by Patent Lens is June 18, 2021. You should specify which patent you are talking about. I pulled one up by "foveon"
There were at least 16 pages of returns with many years listed. The above is one I opened for 1999 at random. I have a hard time seeing the obsession with getting rid of Bayer. It has given us high spatial resolution in well-balanced sensors at moderate cost. Nothing suggests that the evolution of Bayer sensors will stop anytime soon. Say that (in a few years) you could have a 40MP or 200MP or 2000MP Bayer sensor; in practice, any human-designed lense would eventually be the effective bottleneck in terms of spatial resolution, and the OLPF could be dropped. Bayer attributed artifacts would tend to be shifted to a size that would warrant meter-size prints and a loupe to be seen. With the usual good color fidelity, high DR at base ISO, good high-ISO performance. What is wrong with such an offering? Why would you want something different? I'm sure the R&D teams knew the theoretical limits when they started giving us 1MP cameras. They just dole it out one carrot at a time. Clearly they are making tiny pixels for point and shoots with no issues at very low cost. They could have given you 200MP 135 format years ago. I have a hard time seeing the obsession with getting rid of Bayer. I... Why would you want something different? I agree that in practice, no rival to the mainstream CFA approach (one color measured per sensor location) has made a case for superiority, so it could be like the theoretical advantages of rotary engines never winning out over the practical superiority of the conventional but vigorously developed reciprocating engine approach. Partly because, as you indicate, issues like color moiré can be handled by further development of CFA sensors, like a suitable blend of "oversampling" (deliberate use of very small photosites and diffraction) and sharpening algorithms. But let me at least mention one potential advantage of X3, at least if a better approach than Sigma/Foveon's arrives: improved sensitivity through measuring more of the light arriving at each photosite, by measuring light of the "other two colors" rather than ignoring it. This could in principal gain about one stop or more in sensitivity. Just switching from 3 colors to a 4 pixel sub-array of RGB+clear would increase sensitivity and dynamic range. The white pixel would be like the fuji mini-pixel. Unfortunately that doesn't work that way. Instead of actually sampling the 2 missing channels in a Bayer CFA, they are interpolated. No sensitivity is lost, the interpolated signal (which is slightly less accurate) is added to the luminosity. That doesn't sound right. In foveon, if the color is there it is collected. In Bayer it is the same except only partial light of non-primary colors is collected. For a neutral color close to white or a grey, foveon would collect all 3 colors. Bayer would reject light at a rate of 2/3rds at every point. Foveon is not as good at keeping the electronics out of the light path as an Exmor so in practice bayer may be more sensitive. I would just add that the Foveon doesn't have color filters. It separates color based on diffusion depth in the sensor. So filter design cannot be optimized. I would presume that it takes aggressive math to reconstruct color. By the way, the real "fovea" is very similar to the "Bayer" pattern. It is also RGBG, by and large. Of course some sensitivity is lost by discarding about 60% of the light arriving at a particular location by absorbing it with a color filter. This leads to lower photon counts than, for example, a monochrome sensor and so worse ratio pf signal to photon shot noise than would be possible if an imagined perfect X3 sensor could count almost all of the incoming photons, binned into counts for three spectrall ranges, "red", "green", and "blue". But the Foveon approach to X3, relying on the fact that silicon has different degree of transparency to different wavelengths of light, loses even more information to absorption of light by the silicon, and so ends up with worse SNR than a good CFA sensor. Particularly for the color measured at the deepest level of the Foveon sensor: I forget whether that is blue or red. - bottom: mostly red, some residual green, a very little residual blue. Then these mixed signals have to be mathematically unravelled, which increases noise and potentially causes color errors, metamerism and such. Also, the red signal is quite weak: only a rather small proportion of light of any color gets that far through the silicon. 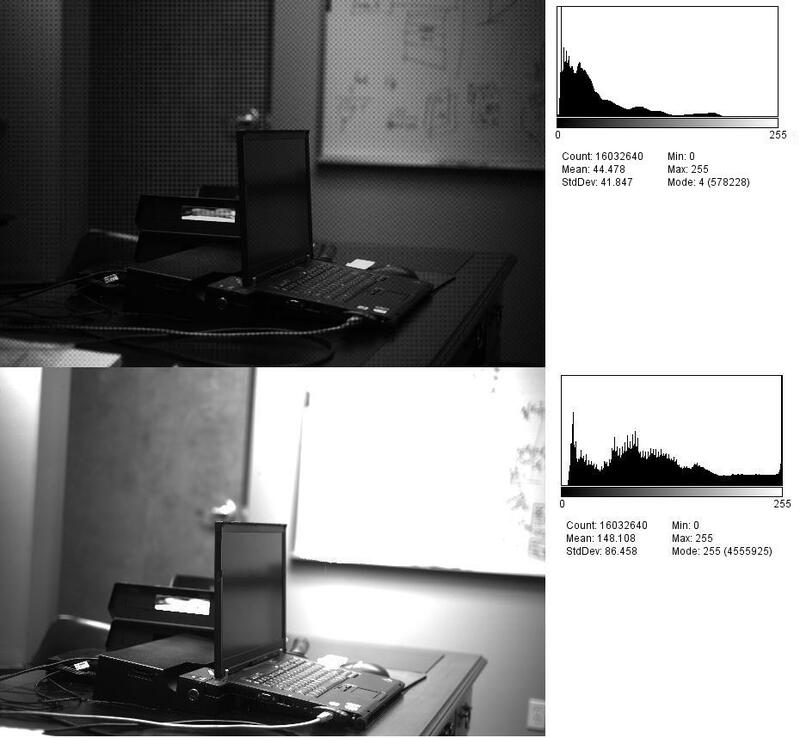 Of course some sensitivity is lost by discarding about 60% of the light arriving at a particular location by absorbing it with a color filter. Now how it that? If we use a strong red filter to capture only the red rays, it is the non-red wavelengths we are rejecting which we do not want in the first place. So where is 60% of the light lost? That 60% can not be used to describe red, as it is not red. Are the only colors you see rgb? No, there are other colors that are combinations. Remember Newton and his prism?